Brittle nails are a bothersome condition due to overdrying of the cuticle and nail bed. 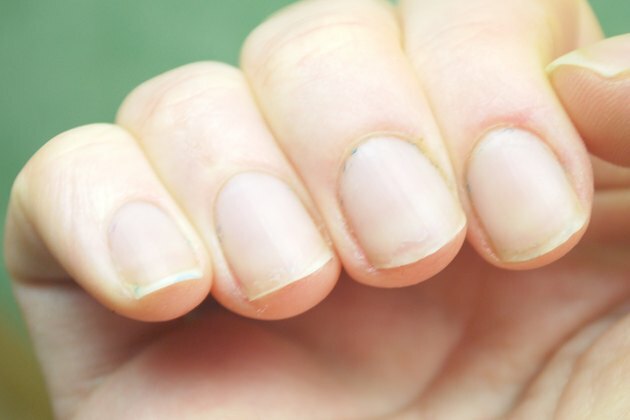 This causes difficulty in growing healthy, strong nails. There are several over-the-counter remedies to strengthen and moisturize nails, however, olive oil applied daily may give the same results. Olive oil penetrates the skin and nail, to help repair damage and soften nails and cuticles, which leads to nail strength and health. Warm olive oil in the microwave and allow it to cool slightly. 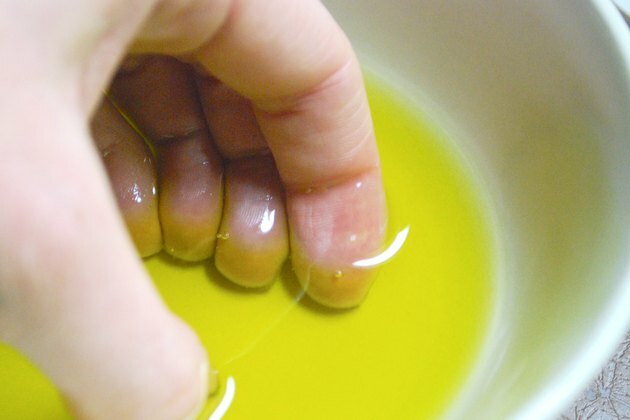 Soak your nails in the warm olive oil for 15 to 30 minutes. This provides moisturizing to the nails and cuticles using heat to speed up absorption. Massage olive oil into the nails and cuticles daily to lock in moisture. Massage into the nail and cuticle in small, circular motions until fully absorbed. 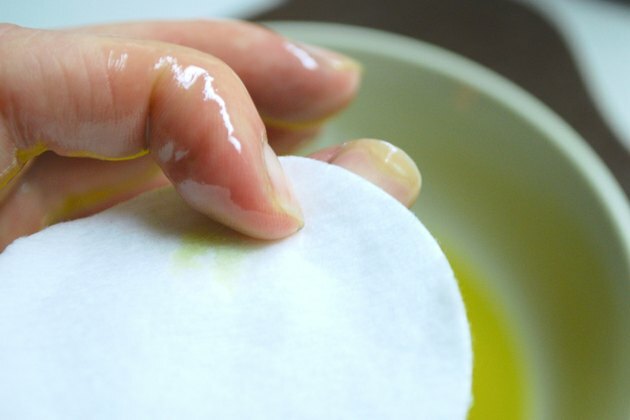 Apply olive oil to the nail and buff using a clean cotton cloth or nail buffer. This gives the nail shine and additional protection from chemicals in nail polish. Soak fingernails at night in 1 part lemon juice and 3 parts olive oil. 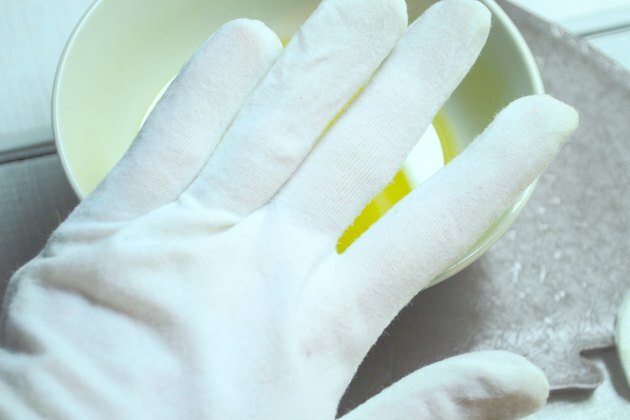 Soak for five to 10 minutes and then cover hands with a pair of cotton gloves. Leave the gloves on overnight.